Get jazzed up this New Year’s Eve with a throwback to the Roaring 20s at one of New York’s coolest bars. Bathtub Gin, with its soft lighting and ornate decor, feels like it could have been a watering hole to Jay Gatsby himself. Live on the edge this New Year's at an exclusive event that’s sure to be the cat’s meow. Indulge yourself at the classiest shindig on the block. 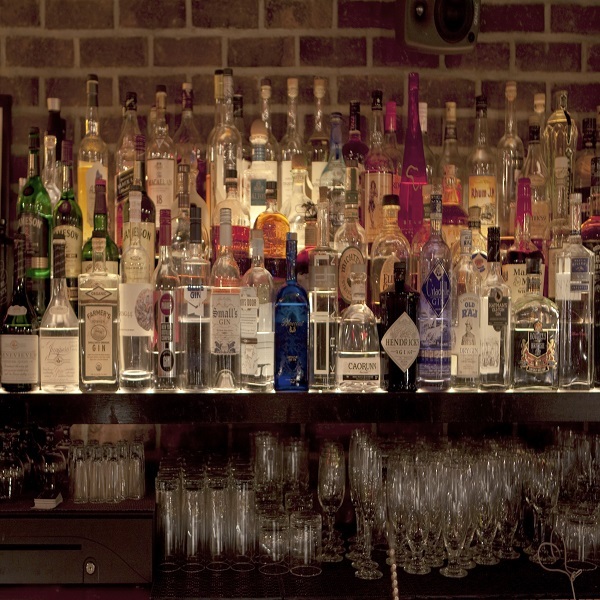 Enjoy the 4-hour premium open bar (may we suggest the house hooch?) while small bites whet the party appetite. A live DJ will turn up the dance floor and lead a live countdown to midnight. 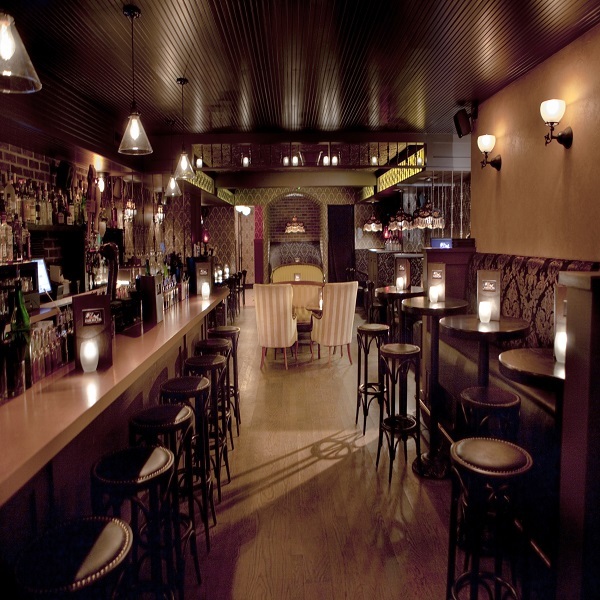 You’ll be transported as the drinks keep flowing and you dance the night away. 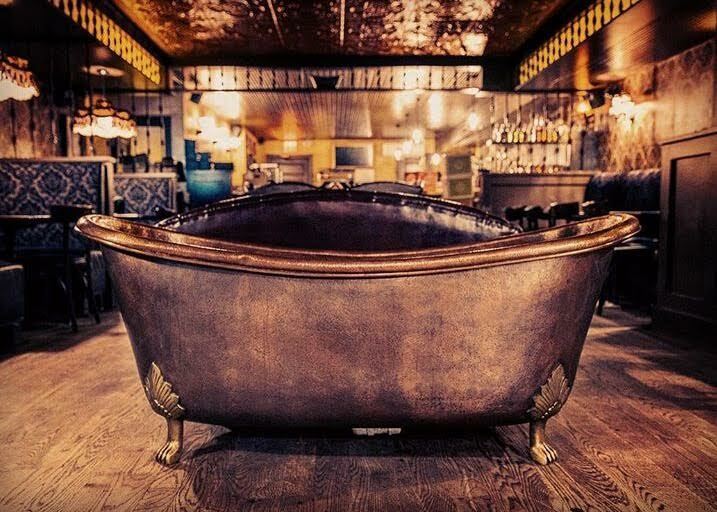 Bathtub Gin’s tribute to a speakeasy is the coolest form of kitsch. 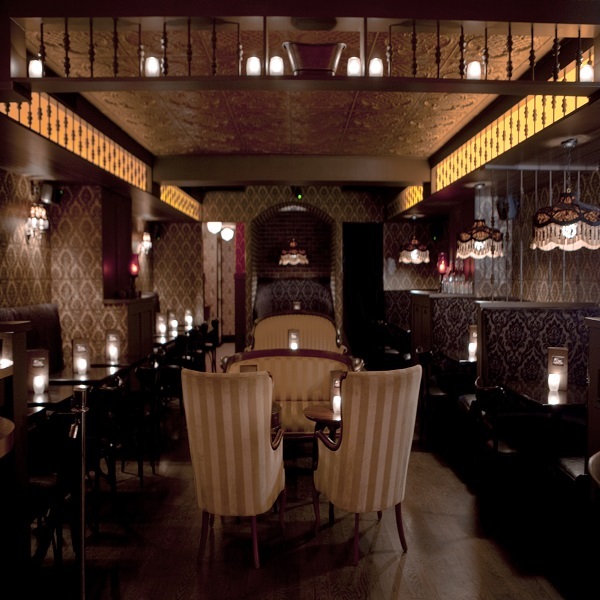 Studded leather barstools toughen up rococo wallpaper and upholstery, while a wooden clawfoot tub stands as the centerpiece to the space, which often hosts musical performances and burlesque shows. 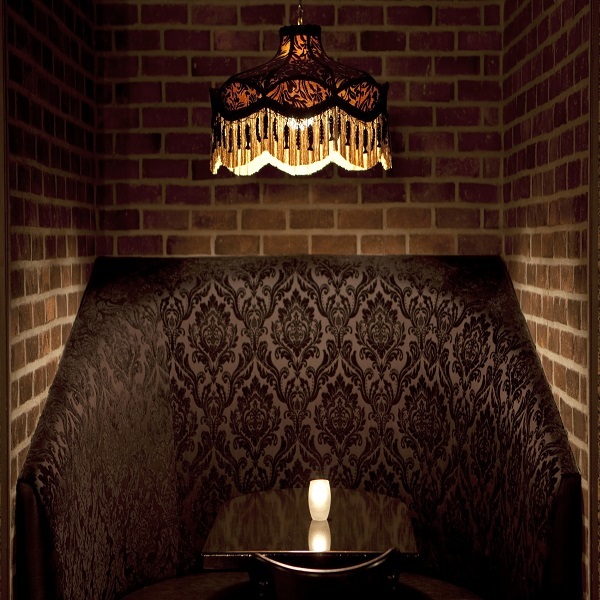 A cozy candlelit glow lends warmth while shadowed corners are discreet options for secret encounters. 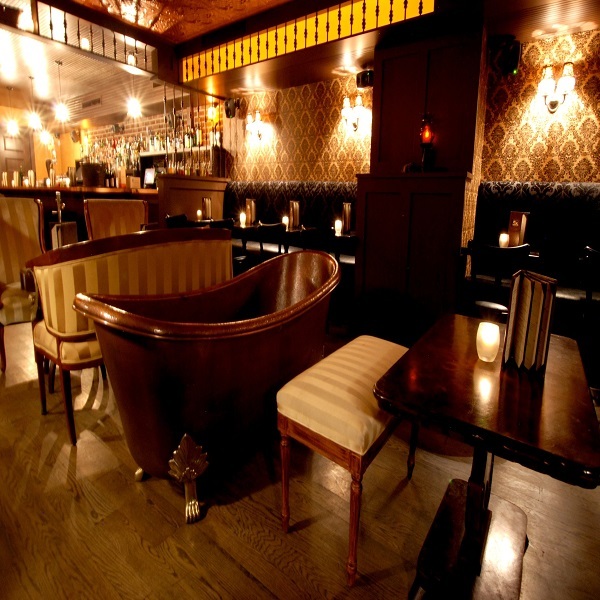 It may be a speakeasy, but Bathtub Gin is far from a little-known neighborhood joint. Supermodel Adriana Lima was seen partying there after the Victoria’s Secret fashion show last year, indulging in burgers and fries with fellow models, and later accompanied by A-lister Selena Gomez. 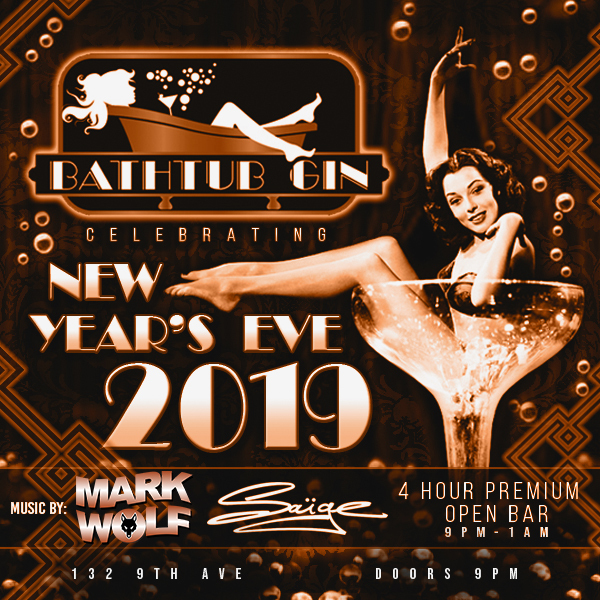 The New Year’s Eve event at Bathtub Gin is one of the hottest tickets in NYC this year, so if a night of illicit fun is up your alley, mum’s the word.